Business Strategy #1 – Build Great Customer Relationships! I have previously shared that my primary guiding principle is to always put “People before Business” and that we should strive to be People Champions who place greater emphasis on the relationships we have with our customers than the business we do with them. 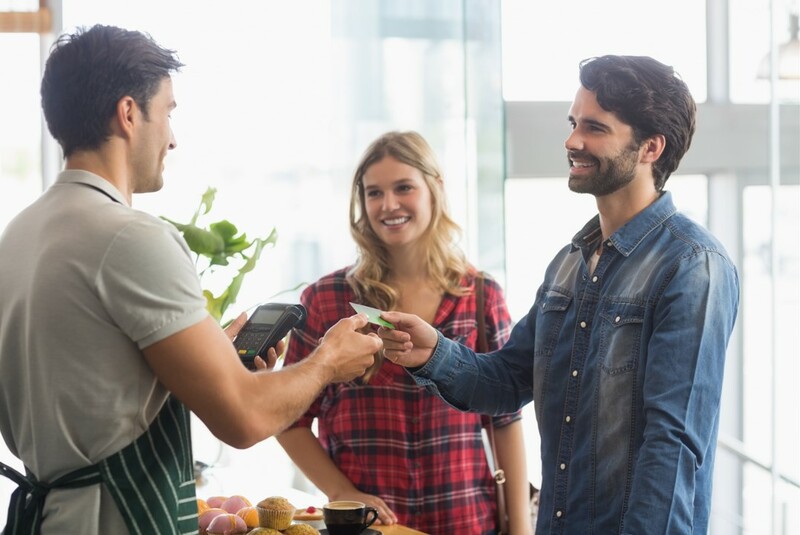 In this article I’d like to explore that a little more and share why I believe great customer relationships are an essential strategy for every business along with some tips on how to achieve them. If the evidence is so clear, why do so many businesses seem like they just don’t get it? Rather than developing strategies aimed at attracting and retaining customers, many businesses continue unwaveringly down the path of ongoing product refinement and financial management and hope that the customer thing just takes care of itself. I’m not saying these other areas of management are not important, because they are! But I am saying, that unless you also dedicate some of your time and resources to establishing and maintaining the relationships you have with those very people you rely on to purchase your products or services, then you’re unlikely to reap the financial rewards you would be capable of if you were to make people a higher priority. Most people accept that the strongest form of marketing is Word-of-mouth. With social media playing such an enormous role in making and breaking brands and businesses, your reputation for looking after customers with the highest standards of personal service and care, should be considered your most valuable asset. Something to strive for! It’s crazy to let anyone walk away from an interaction with you or your team, anything less than 100% happy with both what they have purchased and the experience they had while doing so. Only then will they identify you as the best people to deal with and hopefully a preferred supplier in your industry. It’s also widely accepted that, given a choice, most people would prefer to buy their goods from someone they knew. However, I believe we need to look beyond just being ‘Liked’. This points to a deeper level of confidence that can only be gained over time. Trust is not something that can be established in just one interaction. It takes time. You can ‘like’ someone in an instant but you can only feel you truly know someone after a series of interactions where they have consistently displayed levels of care, attention and integrity. This establishes a sense of knowing that you can trust them to serve you and your personal needs with your best interest at heart... as much as their own! A little over 25 years ago, one of the smartest retailers on the planet, Carl Sewell co-wrote the book, “Customers for Life” with well-known Author, Paul B. Brown. 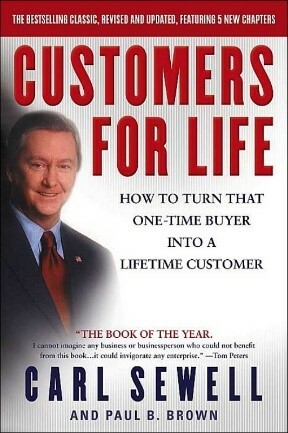 The book was one of the first to argue that Customer Service should be considered a business strategy and highlighted the many benefits in finding ways to turn one-time buyers into lifetime customers. The foundation of Sewell’s approach was “Figure out what customers want and make sure they get it, time and time again”. If your mother was to become your client or customer, think of the personal care and attention you would provide her. This is the most tangible point of reference you can use to determine the standard of behaviour to provide a customer, so they leave feeling like they’ve been tended to in the best possible way. Focus your attention for the time you are with them, on them. Avoid distractions, give them the time they need, attend to their needs and make sure they feel appreciated and valued. This is a critical step in the “People before Business” approach. To really serve your customers to the best of your ability, you need to get to know them as a person. Take time if possible, to get to know more about them to show you are interested in them for more than just the money they might spend with you. Show interest in their interests. Seek common ground and revisit this each time you interact just as you would with a friend of member of your family should they visit. 4. Always, in all ways, exceed expectation! In my opinion, when it comes to customer service, most people don’t have a high level of expectation these days. This doesn’t mean they don’t want great service, it just means they don’t think they’ll get it. This being the case, if we only aim for what’s expected, we’re aiming too low. However, if we aim to exceed expectation, do the little extras that your customers weren’t expecting, then there’s a very good chance you’ll stand out in the crowd and be remembered... in a good way! The only way to make sure we’re ticking the boxes for your customers is to ask. Too many business owners and managers fall into the trap of assuming they’ve got all the bases covered but might be somewhat shocked if they knew the truth. So, ask! And finally, remember... Customer Service is not a department... it’s an attitude! And it’s an attitude that needs to be shared across your entire team. Be sure to foster a customer-centric culture and work hard to get everyone on board. Five Star Customer Experiences are not possible if you don’t! For more information on this topic and how you can develop the culture of your team, please contact the author. Click here to find out how we can help.